The extracellular deposition of a monoclonal immunoglobulin light chain (LC) as insoluble fibrillar aggregates is the cause of the primary systemic amyloidosis, also known as light chain-derived (AL) amyloidosis. In this chapter the structural factors determining the potential of the LC to aggregate into amyloid fibrils are analyzed. 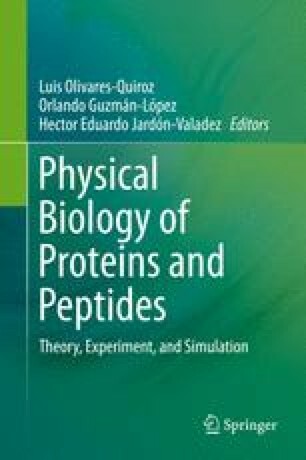 In the first two sections, the relationship between protein aggregation and disease, as well as the causes and characteristics of the human amyloidoses are discussed. The role of protein misfolding in the fibril assembly pathway and the structural bases of the amyloid fibrils stability are also addressed. Then, the chapter focuses on the molecular causes of the amyloid aggregation of LC. The contribution of the somatic mutations and the identity of the variable gene segment encoding the LC to the propensity to form amyloid fibrils are discussed. The chapter summarizes the experimental evidence supporting the role of partially folded intermediates in the mechanism of AL fibril assembly, as well as the modulatory effect played by the variable region gene sequence on the aggregation behavior of the LC. Finally, the results of a recent study aimed to identify fibrillogenic regions in the λ6 recombinant variable domain protein 6aJL2 are presented. This work was supported in part by grants from the Consejo Nacional de Ciencia y Tecnología (No. 169659) to L. del Pozo-Yauner.